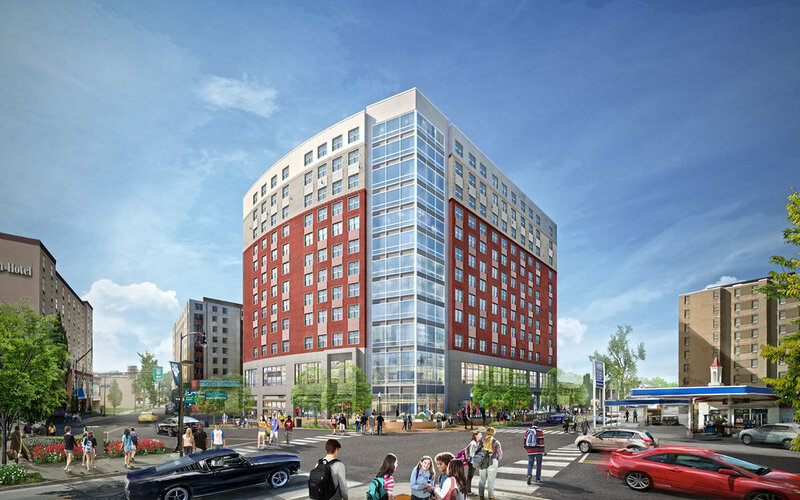 Situated at the corner of South Atherton Street and West College Avenue, The Metropolitan offers high-rise living to both professionals and students. Two elevator cores provide the separation needed to monitor and control access between the different uses within the building. Fitness and community amenities are located on the 3rd floor with an exterior pool courtyard over the 2nd level office space. 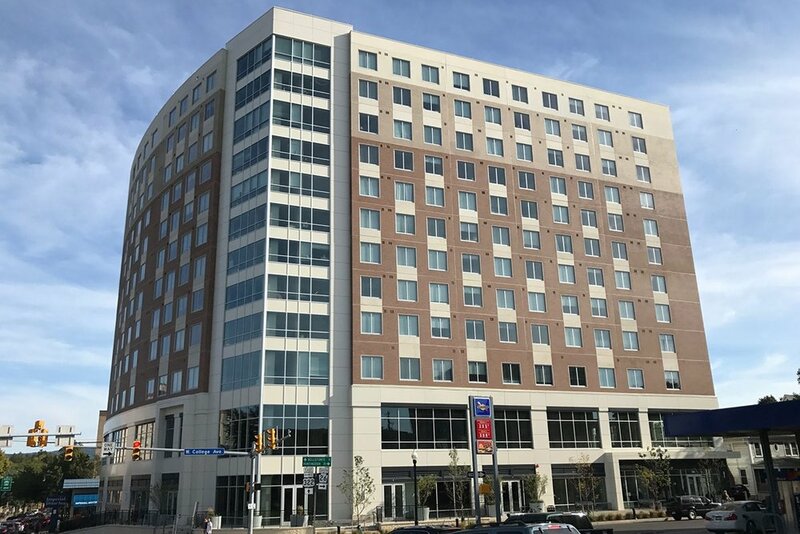 The street front is activated with ground level retail and a 10,000 sf roof top event space offers views overlooking the Pennsylvania State University campus.